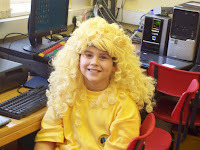 On Tuesday 24th March children in Blue Class teamed up with children from Bedfield and Helmingham schools to put on a fantastic performance of some of Abba's greatest hits. The children had a wonderful time rehearsing with the other schools and were a joy to watch as they sung their hearts out to a packed auditorium at Debenham Leisure Centre. 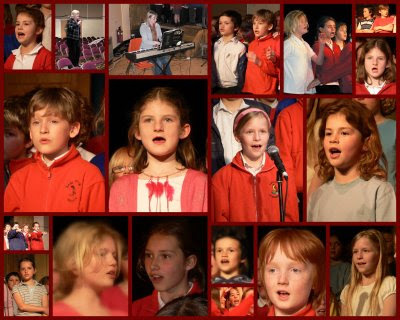 The children were joined by a selection of older pupils from Debenham High School, who performed a range of different pieces, from Elton John to Simon and Garfunkel. Thank you to everyone who came to watch. We hope you enjoyed the performance as much as we did. 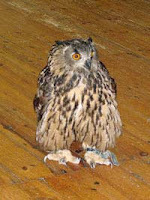 This afternoon saw the eight Year 6 pupils travel to TMHS for an hour packed full of information about owls. 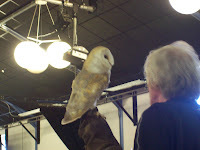 They were joined from pupils from all of the other TMHS pyramid schools to be informed and enthused about owls by Phil Eckett. Children had the opportunity to feel how soft the feathers were, witness them in full flight, hear (?) their almost silent flying action and watch one of them run surprisingly fast. The interesting thing about owls, is that it doesn't matter where you stand - they can always quickly turn their heads and see you! 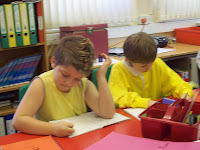 Plenty of things to get the children talking and thinking about some creative writing. Many thanks to the staff at TMHS for organising this, especially Mr Jellicoe who used to teach me English when I was in the 1st year (what is now Year 7). I hope that I haven't made too many mistakes! 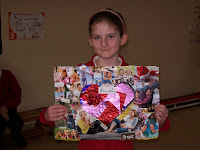 On Thursday, over 30 parents and grandparents joined their children for a special Mother's Day Lunch. 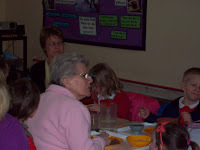 There were also a number of little brothers and sisters who joined us for the meal. Roast Beef with Yorkshire pudding/Mushroom Bake, Roast Potatoes, Broccoli, Carrots and Gravy. This was followed by Apple Crumble and Custard/Jelly. There were plenty of empty plates and a good time was had by all. A big thank you to those who were able to attend - we've got something to build on next year! 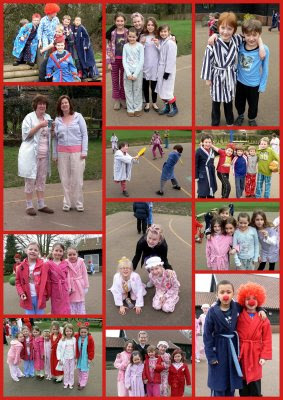 Today, everyone (including staff) dressed up in their pyjamas for Comic Relief day. 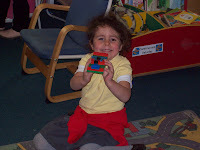 The children enjoyed a special Red Nose Day lunch and were given the opportunity to ice their own cakes for a 20p donation. 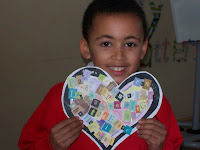 Earlier this week was World Maths Day. We took part in a world record attempt, alongside thousands of other schools worldwide, to answer the most sums in a day. I'm very pleased to announce that the world record was smashed with an amazing 452,682,682 sums correctly completed! 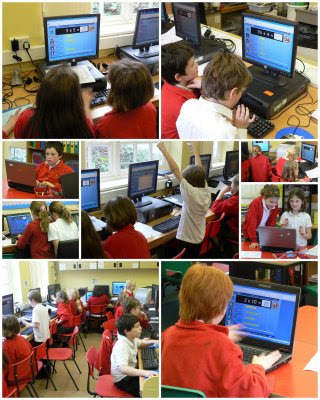 59 pupils at Earl Soham contributed 16,715 correct answers to that total, spending a total of 1385 minutes on task, answering a range of mental maths questions. Not only did we see a new world record made, but every child improved their mental maths ability during the course of the day, with an average improvement of 262%! 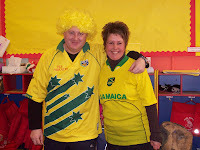 Pupils and staff came dressed in something yellow (some more extreme than others!) to support the Children's Liver Disease Foundation during BIG Yellow Friday. 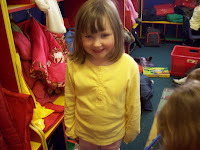 So, having searched the backs of drawers and bottoms of wardrobes a fine array of yellow clothing was on show. It's not an easy colour for Ipswich fans to get hold of! For some reason everyone laughed everywhere that Mr Pearce went (fortunately you can't see his socks on this picture!) although he maintains that this was simply his natural hair colour finally bursting into life as it's spring! 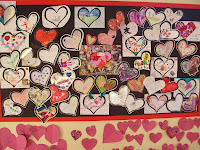 Children, parents and staff made donations towards the charity and a tremendous total of £77.50 was raised which we know will be gratefully received and appreciated by the CLDF. 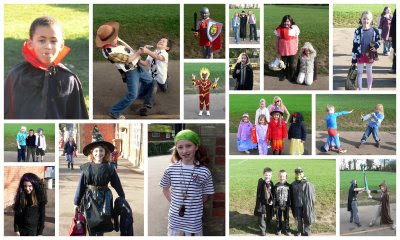 Many of the staff were very imaginative with their costumes. 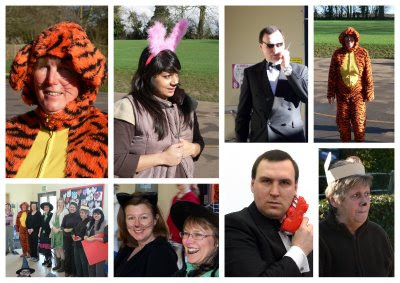 Mr Mansell is now known as 007, Mrs Barker as Tigger and Mrs Stoney, Mrs Castle and Mrs Johnson dressed as the three bears with Jenny as Goldilocks. In the morning we received a giant letter from Mrs Giant, asking for our help. The main story was based on Jack and Beanstalk. As you probably know, Jack climbs up the beanstalk, but the Giant's story has a bit of a twist as Jack commits a crime of stealing from the giants. 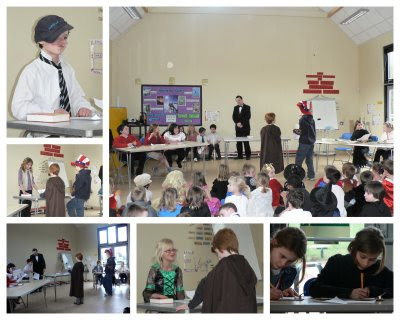 Blue class held a court case to see if Jack was innocent or not. They performed it in front of the school who decided whether he was guilty. Yellow class were making a creative beanstalk in the hall (and we are sure we can climb it soon).They also wrote poems about the story. 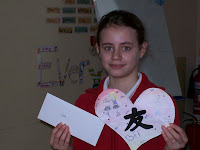 Red class however were writing wanted and missing posters along with letters to cheer up the giantess. 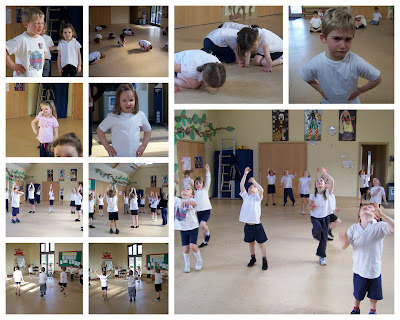 They also performed a dance to tell the story of Jack and the Beanstalk. 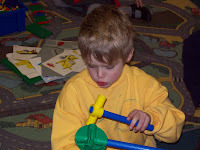 'Friendship Day' saw the children involved in a range of activities, working with children from other classes and those they wouldn't normally work with. 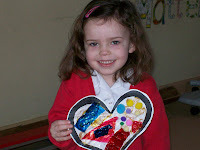 There was a 'lovely' atmosphere throughout the school with everyone working together and thoroughly enjoying it! 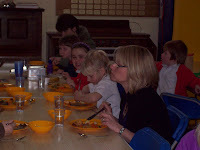 A special 'Friendship Lunch' was enjoyed by many of the children. 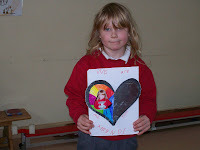 A competition was held during the week with the children being asked to produce a poster relating to friendship. Originally, there were two main prizes to be given, but such was the tremendous amount of entries and the very high standard, this had to be doubled! The four main winners (pictured below) received a voucher which entitles them to watch a film of their choice along with a friend and an adult. Mrs Bowman-Garrett (Chair of Governors) also picked out two other entries which she thought were worthy of special recognition, these both received book tokens. 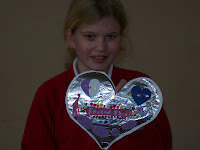 However, all of the children, yet again, deserve praise for their attitudes towards each other and the effort which they put into the day and their competition entries. WELL DONE! Blue class had an excellent day learning to play music from Bali and Java on the Suffolk Gamelan set. Here is a video of the piece we learnt, called Lancaran Kidang Talun (Deer Munching Leaves). We hope you enjoy it.